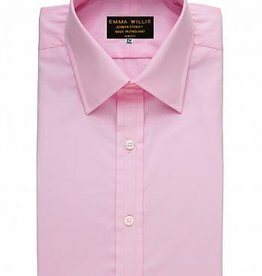 Emma Willis, expert shirtmaker, has been crafting the highest quality shirts since 1987, with a base on Jermyn Street and a factory just around the corner from us, in the famed Gloucester townhouse, Bearland House. Emma Willis is every inch the classic English shirt maker. 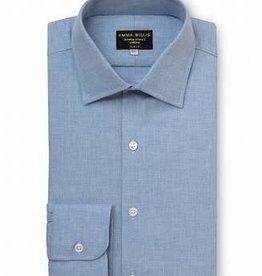 Using only the finest swiss cotton from the famed Alumo mill, every single garment is constructed by hand and finished with an incredible level of detail and quality. If you would like to make a bespoke appointment with us in Cheltenham please contact us to book an appointment. "The precision and quality of her work have guaranteed her success. Your quest for the perfect fitted white shirt - well any shirt - will end at her door". "As one of the few women to be making waves in the traditionally male-dominated tailoring world, Willis has breathed fresh air into the bespoke business". "You'll notice Emma Willis's shop on Jermyn Street straight away. It's the one where three little words describe the merchandise; quality, quality and er, quality". 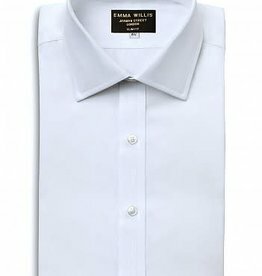 "Emma Willis has all the looks under one roof with her extensive collection of hand made shirts to suit every occasion". 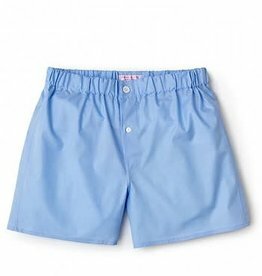 The Emma Willis Patchwork Style Boxer Shorts are made using the finest Swiss two fold Cotton for the ultimate in luxury underwear. 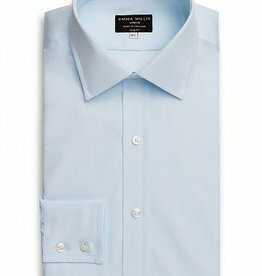 Hand cut and finished in Gloucester using single needle stitching and real mother of pearl buttons, this luxurious Italian Brushed Cotton shirt is made with a softer collar lining, a flat front and rounded button cuff.